2017 is almost here which means many of us are making our new years resolutions! 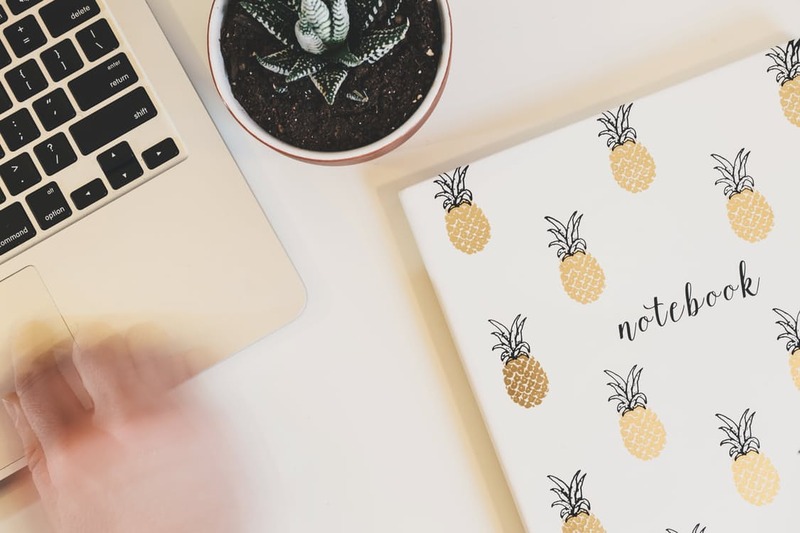 If being more productive is on your list, check out these day-to-day habits to stay organized created by one of our Balanced Babe contributors! We all have that organized friend, who seems to flawlessly handle everything life throws at them. They’re permanently unruffled, never frazzled, and yet miraculously manage to accomplish every single thing they need to do, and balance all areas of their life perfectly. The trick to this is adopting this type of management as a way of life. So how can you get your life in order as well? We rounded up some day-to-day habits to stay organized and productive. 1: Make a To-Do List, and Stick to It! A solid to-do list is essential to getting though the day without being unorganized. Not only do you have a clear idea of your goals for the day, but you can see how close or far away you are to achieving them. At the end of the day you’ll be extremely satisfied at crossing everything off that list. You don’t need to be a professional writer to do this every day. Using online tools as Remember The Milkand Todoist will assist you in composing to-do lists and daily plans. Always make sure you are aware of the really important and essential things you need to do that day, and be sure to get through them first. That way, if something does go awry, the things you no longer have time for are the things that you can afford to push aside or postpone. Nothing can derail your day more than running late on a morning, which can set you off kilter for hours and hours, and have a massive chain effect. Not being able to find your keys, your umbrella, or your phone wastes valuable time. Establish a place for everything, and swear by it, saving yourself a lot of stress. The TrackR tool or AroundMe app help you find lost or misplaced belongings. You do not need a house full of junk that ‘may come in handy’ even though it hasn’t been touched in the last five years. A tidy home is a tidy mind, so ditch everything you don’t need, and you’ll feel instantly more organised and in control, pus this will massively help in being able to find things. Being organized does not mean storing boxes of stuff in your parent’s garage. It means knowing what is recyclable, what is re-sellable, as you may be able to sell things on eBay, what can go to a charity shop, and what needs to be dumped. You could use a writing service as an affordable way of describing and marketing your goods, and could end up with you making some cash. This includes bills and annoying emails – move to spam, sort out your junk, and you’ll feel way more on top of your life. You also won’t forget to do something important that was set aside for ‘later’ and then never looked at again. You response to companies doesn’t have to be a business essay, so there’s no excuse not to stay on top of your admin. For composing good email use these time-saving tools:Email Excellence, Ukwritings, MailMentor, Boomessays, etc. Whether it’s a 12 pack of soup or an ugly T shirt, succumbing to bargains can massively derail organization – your house ends up full of things you don’t need, and you end up lacking space for things you do need. Make a shopping list of what is essential, and stick to it – you will actually have money in the long run instead of having a fridge or closet full of bargains that never get used. Putting things off only means you have to rush later, which leads to chaos, and worry about not completing everything. Some people put off difficult tasks like resume writing, but accepting that certain things simply have to be done, doing them as quick as you can, means you can then enjoy relaxing later. Many organized people delegate tasks they really don’t want to do, so, for example getting some external help could ease up your workload, and let you concentrate on the aspects of work you enjoy. Use online freelance platform to outsource different kinds of task for your life and business: Upwork, PeoplePerHour, Essayroo, etc. This way you will save much time and stay organized. If you want to stay on top of things, then you’ll need energy to see you through the day, and that means planning regular meals and drinking plenty of water. Forgetting this can disrupt even the best-laid plans. Being organized doesn’t mean no need for effort, you’ll need to work hard at times. However, your schedule should be open for editing, so you can fit in some me-time, whether on an evening or weekend, to relax, re-calibrate, and indulge in the things you love. Gloria Kopp is a web content writer and an elearning consultant from Manville city. She graduated from University of Wyoming and started a career of a creative writer. She has recently launched her Studydemic educational website and is currently working as a freelance writer and editor. Read her latest blog post here. Thank you Sarah for your advice and article!